Long Sutton Parish Council approached the Cosmic team as they required an update to their existing website. It was using an outdated version of their content management system, and had lots of features that they no longer needed. Cosmic produced the Parish a website that is easy to use, with the right features that they needed and using their branding. The website shows all of the clubs, societies, local events, parish information and community organisations such as the Village Hall, all tied in with robust products like Google Calendars to show the upcoming events. The website administrators are able to publish latest news from the Parish, as well as the website integrating nicely with social media. 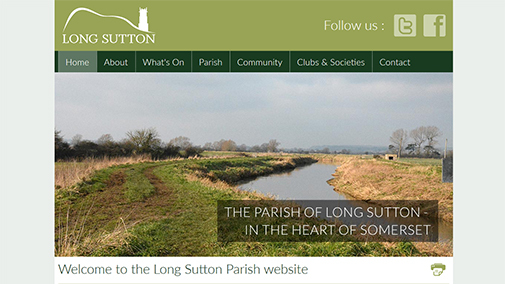 Take a look at the Long Sutton website at longsutton.org.uk and be sure to tell us what you think!